SimplyShia launched!!! Wednesday 28th July 2010! Phew! 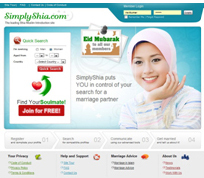 After many months of hard work, phase 1 of SimplyShia has been launched!! Welcome!